Classic cars take pride of place in many hearts of auto lovers across the world. A privilege to own a piece of history, it’s not a commitment that is to be taken lightly. To preserve both the beauty and functionality of your classic vehicle, it requires as much attention as you can give. Specialist classic car plate provide Number 1 Plates give their top tips for keeping your classic beauty in the best condition possible. The most important rule of all for maintaining your classic car is protecting it from the natural elements; rain, wind, sun and snow are the main enemies of classic cars as prolonged exposure to water can lead to the development of rust. Rust is the enemy to avoid at all costs, it will eat away at your car, which may require you to incur extra costs to replace parts. The second enemy to avoid is wind, which can lead to items being blown into the bodywork of the car, leaving behind chipped paint, scratches and sometimes, in extreme circumstances, even dents. Simply covering your vehicle or parking it in a garage will ensure the best protection for your car. One of the more enjoyable perks of owning a classic, is a regular Sunday cleaning session for your beloved car, attending to every corner to ensure there is no buildup of dirt and grime; dirt that’s left to build up on/in your car will inevitably cause damage and will potentially affect the performance of your car. If you are confident in doing so, tackle both the exterior and the engine to ensure there is no risk of grime taking over. Of course, interior cleaning is just as important, with classics often fitted with luxury leather, it’s imperative to maintain the leather’s quality.  Be sure to use the correct products for the type of fabric you are working with; whilst this may initially seem like an unnecessary cost, these products are the answer to maintaining your car’s quality. Whilst you can maintain most of the details from your classic car with attention to detail and extra care, there will be some things that will require replacement. Whether this is updating the sound system or replacing brake cables; simple replacements will make a hugely impact both the performance and the aesthetic of the car. 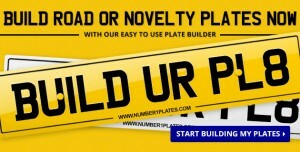 Classic number plate replacements are another must, a great way to maintain the classic aesthetic of your beloved car. The best thing you can do in order to look after your car is to take it for a spin. There is no fun in investing a classic car to then never drive it; make Sunday is your new driving day; take it for a spin around country roads and enjoy the freedom of being behind the wheel. Driving your car at least once a month will ensure that your brakes stay strong, your clutches prevent from sticking and that all key components of your engine will run smoothly. If you’re so lucky as to have invested in a soft top, break it out on a summer’s day and enjoy a truly magical driving experience. Enjoy the thrill of the engine! Sticking to the above rules will ensure you’re driving your classic for years to come, trouble free.